«That work matters» illustrated quotation. Father’s day, free quote pictures for Facebook, Twitter, LinkedIn, Reddit, Pinterest and other social networks. 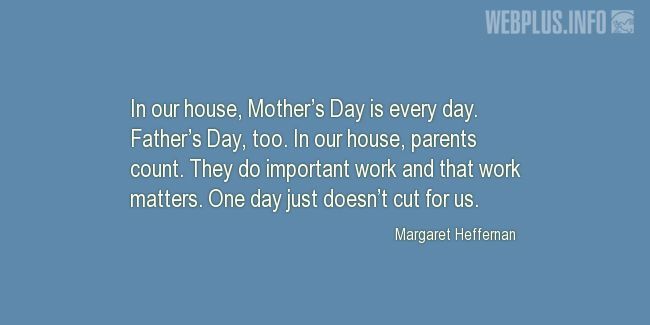 In our house, Mother’s Day is every day. Father’s Day, too. In our house, parents count. They do important work and that work matters. One day just doesn’t cut for us.